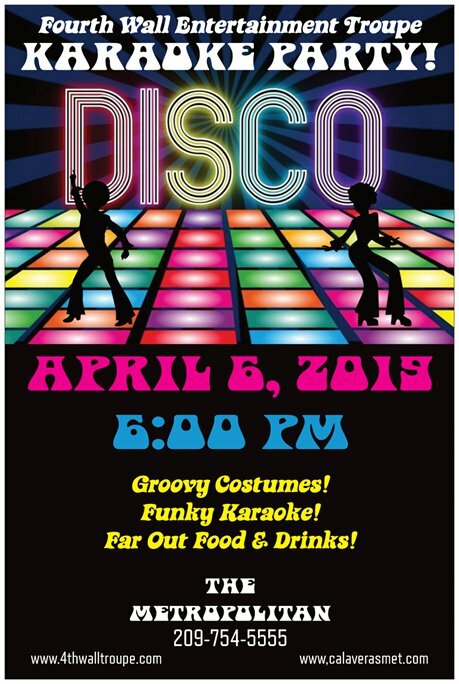 Our April karaoke party theme is 70’s disco! Join us for the fun with our good friends at Sweet Harmony Entertainment! We are holding Karaoke World Championships qualifiers at The Metropolitan starting April 6. Registration starts at 6 pm. Contest starts at 7 pm. Contest will last from 1 hour to 2 hours depending on turnout. $15 registration fee, cash only. The venue takes cards for food and beverages but the fee will be by cash only. 21+ only for contest but all ages welcome. First 20 singers signed up will participate. Depending on timing, we may allow more singers at our discretion but with no guarantees. Open karaoke will start once the contest is over. We will also get singers who are not in the contest up to sing before the contest starts, if time allows. See Sweet Harmony Entertainment’s Facebook page for more information and rules. The top 5 singers will move on to the finals to be held on July 13th. Prizes will be given to the top performers of the night.